The way we use data to manage our money is changing. With a quick tap of your phone, you can pay for your morning coffee, transfer money to a friend, and request payments from your business partners. Data is essential to financial coaching, to helping us make the right choices depending on our goals and projects. Like many other banks and financial institutions, BNP Paribas relies on data to limit risks and bad behaviour, as well as provide a better experience for customers. These are just some of the benefits that data-driven technologies have brought to our lives - but understandably, people are focused on balancing these benefits with their privacy. All of us in the financial sector know that the privacy of your financial data is paramount. As the way people use financial services continues to evolve, so should the way you understand and control the privacy of your data. Historically, companies have too often equated good privacy practice with giving customers long, legal documents to sign. For finance professionals, this approach may make sense at first glance. People who work in our industry are used to dealing with stringent regulations by looking at dense reams of legal documents. But what about the customers? Most people do not have the time to comb through long, complicated legal documents filled with jargon they may not understand. At BNP Paribas, we have been working to discover new ways of engaging with our customers to help them understand their privacy when they use our services. 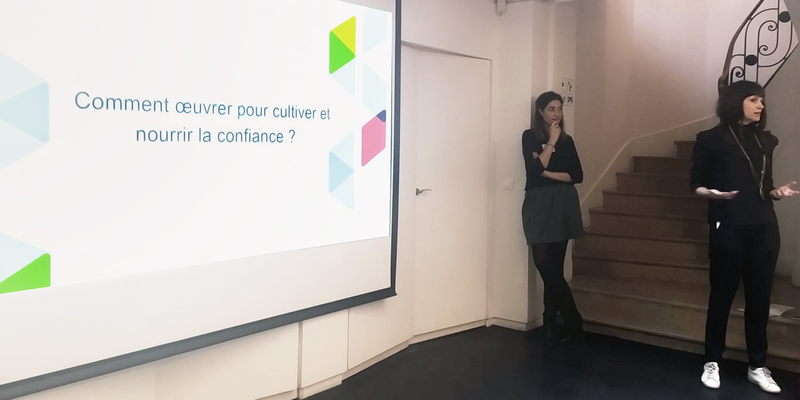 Because we believe that privacy should be more customer-centric, we are partnering with the TTC Labs and have even hosted our own Design Jam at BNP Paribas. 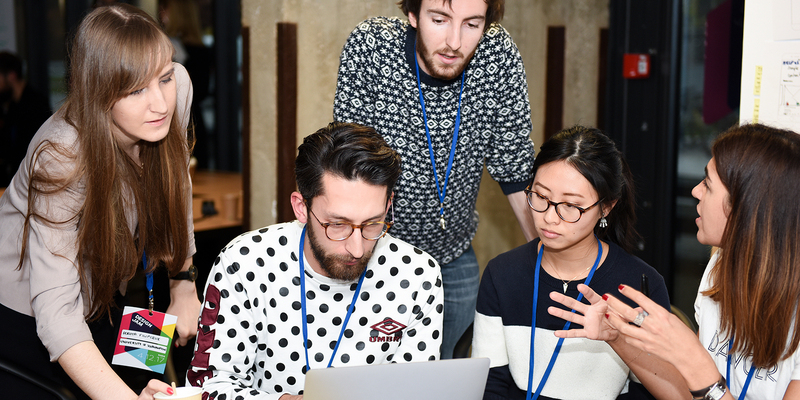 We first worked with the Trust, Transparency, and Control team last December in a Design Jam run by Facebook and others at Paris’s Station F. There, we joined a cross-industry group, including representatives from Blablacar and Orange as well as regulators from France, to workshop people-friendly ways of designing for compliance with the General Data Protection Regulation. The broad range of participants reflected the broad reach of the GDPR, which concerns companies of all sizes, big and small, across all sectors. At the Design Jam, we participated in several group exercises and helped produce mock-ups of new designs to meet privacy challenges. Faced with questions such as how to make data requests more transparent, we joined multidisciplinary teams to come up with design prototypes that would help customers understand how their data is used and the choices they have. Amidst the mix of perspectives, one thing became clear. Companies in all sectors face the same challenges: we all want to know how to help our customers understand the rights, choices and controls they have when it comes to privacy. And we all need better design in order to do it. Rome was not built in a day, and meeting the challenge of privacy in a digital age will be no different. The solutions that were workshopped that day were by no means entirely perfect, and nor were they intended to be one-size-fits-all models of best practice. But for a subject as complex and evolving as privacy, this sort of creative experimentation is key to coming up with innovative solutions that work for people. By bringing people from different industries together to work openly and collaboratively, the Design Jams help us see privacy challenges in a new light. It is this creative way of seeing and thinking that will help us all approach privacy in a more sensitive and holistic way. As we continue to work with the TTC Labs, we hope to help increase trust in the interactions between businesses and people around data. We believe this is possible through experimentation and innovation that will bring about unexpected solutions. Developing a culture of trust, transparency and control should be collaborative, fun, and full of new ideas: while we’ve always thought hard about privacy, now we need to think in new ways. Christine Mercardier has worked across IT, marketing datawarehouse, CRM, and big data projects at BNP Paribas for the past 20 years. She has most recently worked to help develop BNP Paribas's business transformation regarding the customer data privacy stakes. Since early 2017, Elise Latify has worked as an independent privacy and data protection consultant, where she advises both public and private sector entities, gives data protection training and works as an independent expert for the Data protection committee of the Council of Europe. Before 2017, she worked for 7 years for data protection authorities.